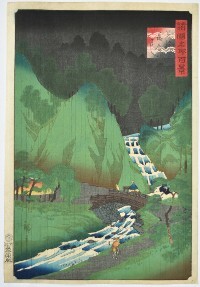 Mino Ochiai-bashi. Mino (Noshu) Province from the “Hundred Views of Famous Places in the Provinces.” An uncompleted set of 81 prints published by Uoya Eikichi between 1859 – 1861 (this being 1861). 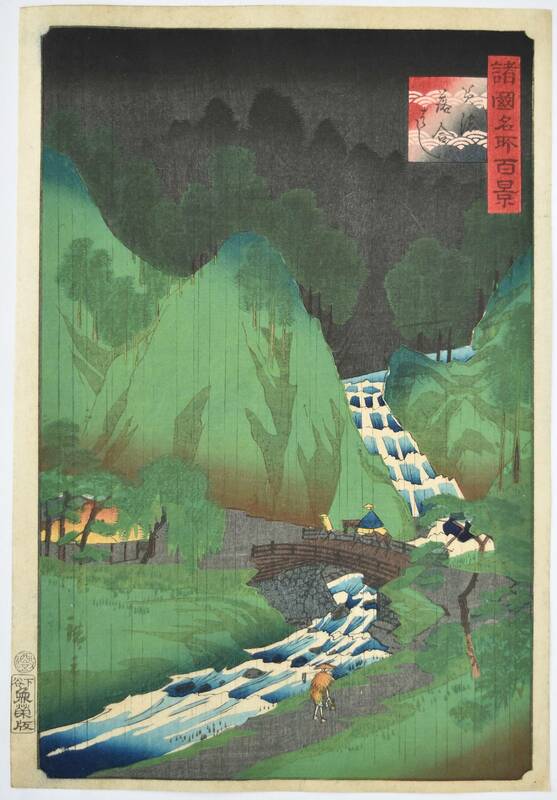 An evening rain scene with figures making their way across the torrential Chitose River, famous for its fishing. Very fine impression of the first edition. Fine colour and condition. Signed Hiroshige ga.